Today I was honoured to be given the opportunity to deliver a speech at the Labour Women's Conference. Conference, chairs, Sisters. My name is Sarah Hacker from Unite the Union and I am speaking in support of the motion. I'm also a councillor, school governor and parent. Sisters, we know the the biggest barrier to women to work is the lack of good quality, affordable childcare and nursery provision. We also know that this condemn many women to a fire if low incomes leading to low pensions. A vicious cycle of financial inequality that spans a lifetime. Recently Philip Alston, the UN poverty envoy, took evidence from people across the UK and his findings were damn ing. This Conservative government he said inflicted “great misery” on its people with “punitive, mean-spirited, and often callous” austerity policies. In the world's fifth largest economy levels of child poverty were not just a disgrace but a social calamity and an economic disaster. I don't think I've ever heard such enormous condemnation from anyone let alone an envoy from the United Nations. We always knew that workers have borne the brunt of the 2008 economic crash. Closure of Sure Start centres that provided real improvements in health, parenting and behaviour with the poorest children benefitting most. And we have a toxic mix of parents reliant on food banks and children reliant on free school meals. Financial inequality, the lack of childcare and early years education has a motor impact on child development right up to how they perform at GCSE and beyond. We can't rely on the Tories to deliver on Early Years Education and Childcare. Their solution, as with so many things, is to rely heavily on the private sector who cream off the profits. We are left with unequal access. Poorly paid and poorly trained staff. Let me make this clear - people who do thr work are not to blame. It's quite clear where the blame lies. It lies with tbwclosure of Sure Star Centres by a Tory/Liberal Democrat coalition. And it lies with this Conservative government who havecutfunding to local authorities to the bone. Only a Labour government will reverse the cuts and bring in high quality early early childhood education and care provision as a part of a National Education Service ice that is truly cradle -to-grave. Today it was announced that £2.7million has been allocated in the Reading Council budget for parks equipment and other park improvements across the borough, £603k of which followed a public consultation last year on CIL funding. I have made it very clear that ensuring our playgrounds are accessible to all children is my priority. Play is vital to the healthy development of our children, physically and mentally, and is a great way to form friendships. 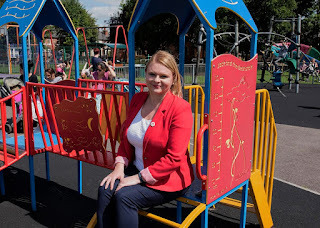 I look forward to seeing more accessible play equipment across the borough. Vote for Sarah Hacker in Battle ward on 3rd May! I am a resident of Battle ward and have been your Labour councillor since 2010. I am a mum, pensions administrator and trade union rep for Unite. I am also an equalities campaigner, patron of Reading Pride and school governor for Oxford Road Community School. Helped secure £1.6 million of investment in my ward which has seen local parks upgraded,an extension planned for Battle Library as well as other local projects. Ensured plans for pedestrian and cyclist access to Cow Lane were improved and pushed for the project to be completed in summer 2018. Campaigned for more school places. Successfully campaigned for Network Rail to include disabled access in their Reading West station plans. Worked with Thames Valley police to support our community and act on criminal activity. Proactively engaged with, and supported, the Battle ward community helping solve many local issues such as parking, housing, welfare, school places and anti-social behaviour. Listened to the parking concerns of residents in the Sherwood Street area and arranged for a resident's parking scheme to be developed and consulted on. 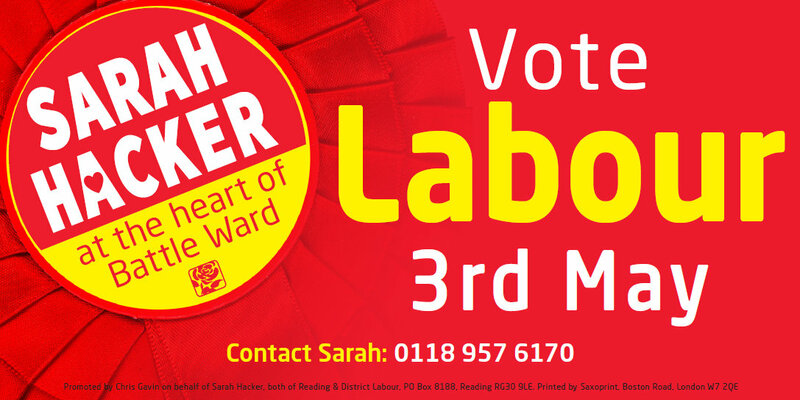 If you re-elect me on 3rd May I promise to continue working hard for Battle residents and for the town of Reading. I will still hold our monthly advice surgeries, be easy to contact by phone, email or social media and will always be happy to stop for a chat should you see me out and about. I will continue to ensure that Thames Valley police take resident's concerns seriously, work with traffic officers to make the Oxford Road and side streets safer, represent residents in council meetings, ensure we have enough primary and secondary places for our children and continue to make Battle ward residents my priority. I have been a strong voice for Battle ward for 8 years and, if re-elected, I will continue to fight for the best for Battle! Today I'm at the Unite Women's Conference. I moved this motion which was carried unanimously. Demand for Gender Impact Audit of Government Tax and Spending Policies. This conference is concerned that 86% of the burden of government austerity policies since 2010 has fallen on women. Conference notes that the latest research carried out by the House of Commons Library reveals that this figure has remained unchanged for the last 2 years. 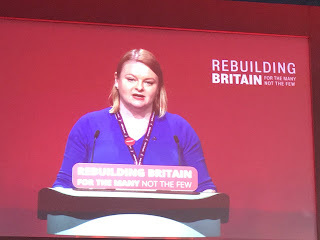 Conference further notes that women are paying a huge price for this failed government policy. 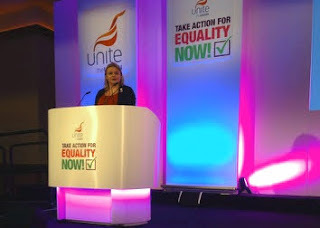 Conference resolves to campaign to to highlight this issue from within Unite, the TUC and the Labour Party. Conference instructs the Women's National Committee to urge the Executive Council to call on the Labour Party NEC members to demand a gender impact audit of government tax and spending policies since 2010. Since austerity was imposed upon us by the Conservative and Liberal Democrat coalition in 2010 86% of the burden has fallen on women. Research has shown that the cost to women since 2010 is £79 billion compared to £13 billion borne by men. We are more likely to use, and work in, the public services that have been cut and been subject to pay freezes. We are more likely to be in receipt of the benefits and tax credits that have been frozen and cut. Women are more likely to fill that gaps left by austerity by caring, often for free, for children and older people at the detriment to our employment and earnings and let's not forget that women, on average, still earn less than men. Women have also born the brunt of cuts to child tax credit which now will only be paid for the first two children. If you are a low income working family you will get nothing to help if you have more than two children. The government is aiming to find £1.2 billion through this cut while turning a blind eye to tax evasion by some of the highest earning companies in the world. Inadequate investment in childcare prevents women, especially single mothers, from entering the labour market. Childcare in the UK is the most expensive in Europe and women often find the money they earn wiped out by childcare costs. The government is doing too little to change this. Its current pledge of 30 hours of free childcare for 3 and 4 years olds is not enough. It's only available in term time - just 38 weeks a year. Both parents must be in work to receive this free childcare but who can take 14 weeks of a year to plug the gap? It's also the case that Government funding to childcare settings does not cover costs so they are asking parents to make top up payments for food, nappies and trips. 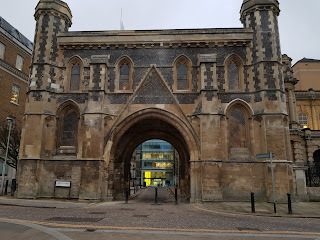 In Reading, we're I live, a local primary school had to write to parents to contribute a pound per pupil per school day to close its budget gap because of negative changes to the schools funding formula. More expense for working parents and women. Finally we’ve heard from WASPI women who have lost thousands in state pensions to save the Conservative government money so from the cradle to the grave women have been unfairly impacted by austerity. So sisters I am asking you to support this motion for a campaign to raise awareness of thisdiscrimination within Unite, the TUC and Labour Party. As the womens conference we will be asking that the Labour Party NEC demand a gender impact audit of government tax and spending policies. And finally as women we will be asking that the government be held to account for its destructive austerity programme that hurts our sisters the most.